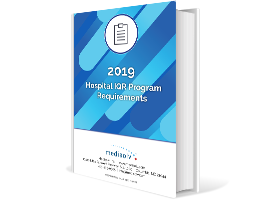 To help you get ahead of the game, I’ve laid out the seven requirements your hospital will need to know to successfully complete one of the major regulatory programs in 2019: the Hospital Inpatient Quality Reporting (IQR) program. CMS finalized several changes to the program structure for next year in their 2019 IPPS final rule, including the removal of 39 measures between now and 2021. 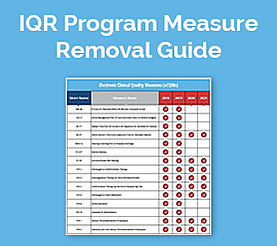 Be sure to check out the list of IQR measures being removed for 2018-2021 below. Keep in mind that a lot of these measures are removed from just the IQR program. You will still be evaluated on these measures in other programs such as the Hospital Acquired Condition program or the Hospital Value-Based Purchasing program. Hospitals must report on three chart-abstracted measures. Hospitals must report on at least four of the available 15 eCQMs. 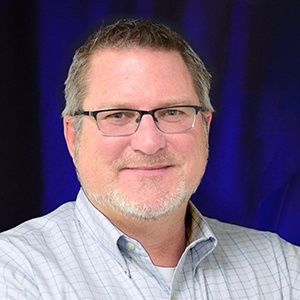 Unlike 2018, your EHR must be certified to the 2015 Edition of Certified EHR Technology (CEHRT) for reporting in 2019. You will no longer be able to use the 2014 Edition of CEHRT. All data must be submitted using the QRDA (Quality Reporting Document Architecture) Category 1 file format. File submission must include one QRDA 1 file per patient, per quarter that contains all episodes of care and the measures associated with the patient file. Hospitals must use a combination of factors to successfully complete their eCQM requirements. If you have at least five cases in the Initial Patient Population and have no zeros in your denominators for the measures you are submitting, you have successfully met the requirements for submission. If, however, you do not have at least five cases in the Initial Patient Population field, you must submit a Case Threshold Exemption. If your measure has zero in the denominator you must submit a Zero Denominator Declaration. By submitting your eCQMs to the IQR program, you will also successfully meet your CQM requirement for the Promoting Interoperability (Meaningful Use) program. If you choose to submit ED-2 and/or PC-01 as an eCQM you still must submit the chart-abstracted data as well. All HAI measures, with the exception of the HCP measure, are submitted quarterly to the CDC through the NHSN Portal. For the HCP measure, only data from October 2018–March 2019 must be submitted by the annual submission deadline of May, 2019. The Data Accuracy and Completeness Acknowledgment (DACA) is a requirement for hospitals participating in the IQR program. The DACA is a method of electronically attesting that the data they submitted to the program is accurate and complete to the best of their knowledge. You can attest anytime between April and mid-May of 2020. Hospitals may complete the DACA within the QualityNet Secure Portal. Hospitals are evaluated for their performance on 8 Claims-Based Outcome measures and 4 Claims-Based Payment measures. Hospitals will receive a score for their performance on 8 Claims-Based Outcome measures and 4 Claims-Based Payment Measures. No additional data submission is required to calculate the claims measure rates. CMS uses enrollment data, as well as Part A and Part B claims data, to calculate the measure rates. CMS will continue conducting audits for both chart-abstracted measures and eCQMs next year. If you are audited for your 2018 chart-abstracted submission, it contained data from Q3 2017, Q4 2017, Q1 2018 and Q2 2018. CMS will validate up to eight cases for clinical process of care measures (STK, ED, IMM, VTE or SEP) and up to 10 candidate HAI cases (up to four candidate HAI per template and up to two candidate SSI cases) per quarter per hospital. CMS will select 200 hospitals to audit via random sample. Eight cases (individual patient-level reports) will be selected from the QRDA 1 files that were submitted. The hospital must then submit at least 75% of sample eCQM medical records within 30 days of the request. The eCQM data submitted must contain sufficient patient-level information including arrival date and time, inpatient admission date and discharge data from the inpatient episode of care. A word of caution to you. If you don’t successfully complete all elements of the IQR program in 2019, you could lose 2% of your Medicare reimbursement in 2021. Hospitals are facing a significant decrease in funding over time if they don’t fully participate. Much of this burden often falls to Quality. And while the Quality department should review and become familiar with all of their data, both Quality and IT will benefit from working together to start creating a plan for next year. Look at the list of requirements above and decide on the resources you have (tech and human) to complete the program. Figure out what you will need to be successful and incorporate that into your planning sessions. Unlike the other measure results of the IQR program, CMS has decided NOT to publish the 2019 eCQM data on Hospital Compare. However, if we look at the history of quality reporting, it will only be a matter of time until results will be posted there. So, it’s prep time. If you have implemented the eCQMs already, we suggest that you review your results and identify any gaps in performance. Then create a plan for addressing these gaps before or during 2019.